Disease investigators from Public Health – Seattle & King County have confirmed measles infection in a King County resident. The King County resident, a male in his 50s, was hospitalized but has since recovered. It is not clear where the man’s infection was acquired, although he reported recent travel to Vancouver, Washington during part of the time he could have been exposed. 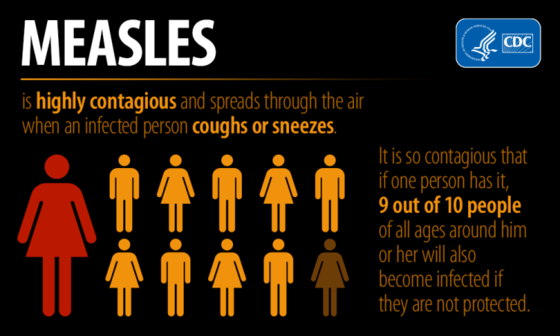 Vancouver is in Clark County, where there is a measles outbreak occurring. Public Health – Seattle & King County is proud to be one of over 100 organizations that participated in the 2018 Seattle/King County Clinic. Over four days in September, more than 3,500 people received free medical, dental, and vision care there, waiting in line for long hours, even overnight, at KeyArena. For the third year, a team of artists interviewed patients to better understand the circumstances that brought patients to the SKC Clinic. We will be sharing the comics from this project in three parts over the coming weeks. Whether they meet at the playground or on the soccer field, kids exude joy when they play together. But for many families that include a child with a disability, this simple joy can be hard to reach. From inaccessible playgrounds to sports programs that say they can’t accommodate kids with physical differences, there are many ways that programs exclude or overlook kids with disabilities and their families. These families are experts in navigating the challenges of accessibility and inclusion. The Seattle Squeeze is coming, and locals are gearing up for what could be the one traffic jam to rule them all. As you get ready for this latest car-maggeddon, there’s no better time to put together an emergency kit for your vehicle. There are many practical reasons for an emergency car kit, especially in winter, but there may be some new creative uses for the items in the kit during the Seattle Squeeze.